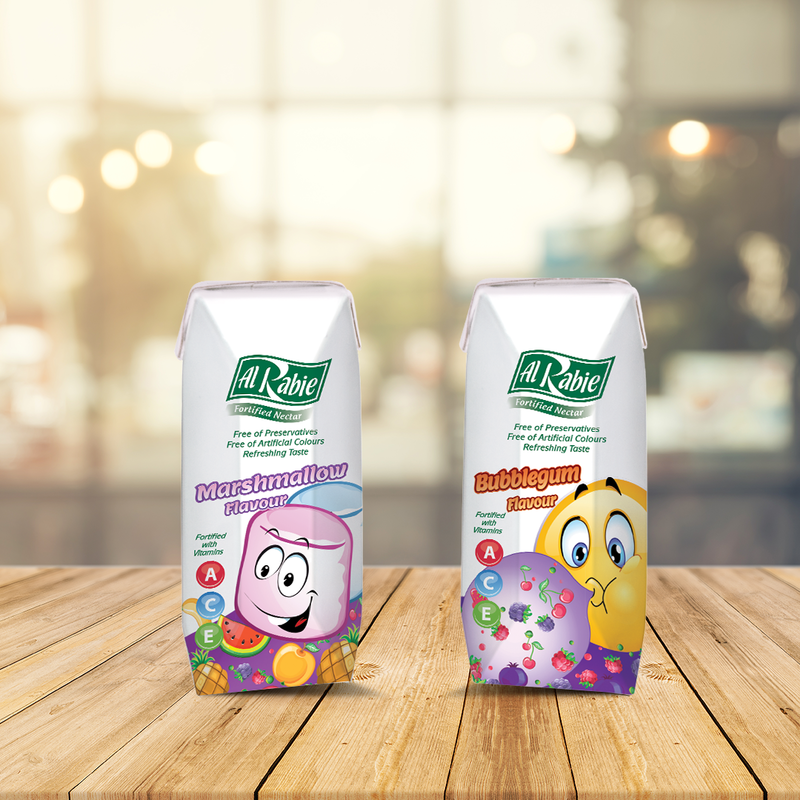 In-line with its well renowned slogan “Health For All”, Al Rabie Saudi Foods Co. recently launched in KSA markets a refreshing drink for kids, a combination of sweets and fruits. Children can choose between Fruit & Marshmallow or Fruit & Chewing-Gum flavours, both irresistible for kids. This new line is quite unique, provided in attractive 120 ml prisma packs, fortified with vitamins without preservatives or artificial colouring, to guarantee better taste and healthier quality. The packs are designed with cartoon characters to appeal to kids and make keep them attached to this line of healthy products, essential for their growth.